Decorated in soothing palettes of tranquil tones and rich textured fabrics, our Superior Rooms measure 32 square metres and feature queen or king sized beds. 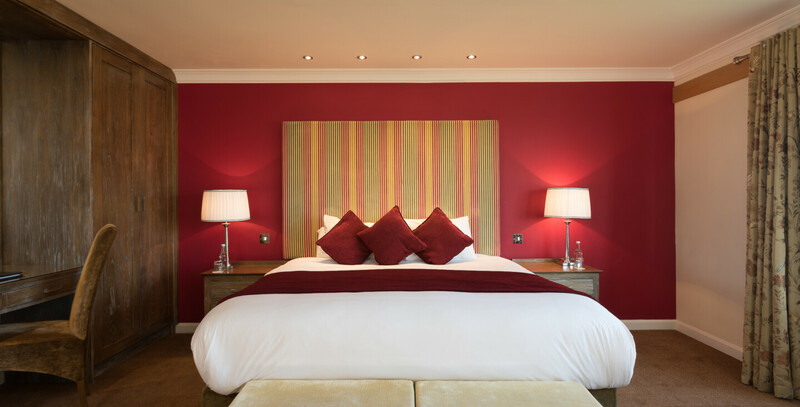 Our Superior Rooms offer views of either our landscaped gardens or views of Galway Bay. 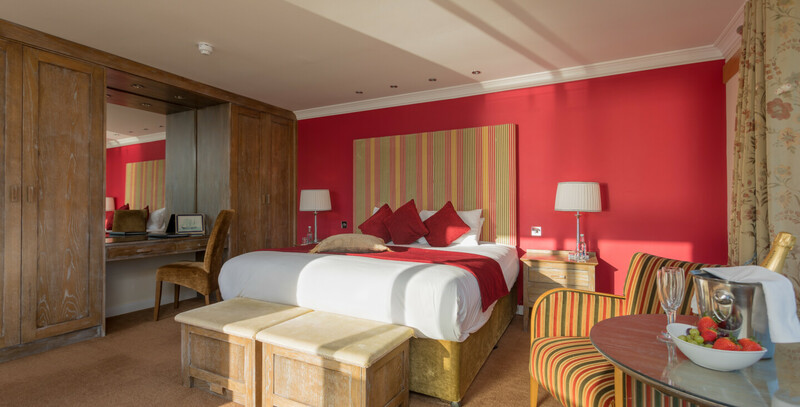 From our seaview rooms you can watch the colours of the sunset resting in calm waters on Galway Bay. As our guest you can enjoy complimentary use of our leisure facilities, our outdoor hot tub and from the moment you arrive here, you will be welcomed with a friendly smile and genuine service and hospitality which our Hotel Team are famous for. 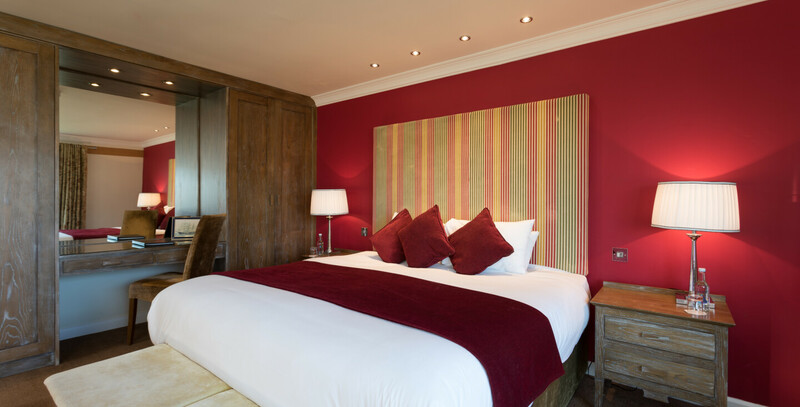 Combine the luxury of our superior rooms with the serenity of our location, our spectacular views, coastal walks and rugged landscape to guarantee you a getaway to remember. With the serenity of our location coupled with the spectacular views, it is hard to believe Galway city is only ten minutes away. Tá na seomraí dearadh le pailéad dathanna suaimhneach agus fabraicí galánta. Tá na seomraí 32 méadar cearnaithe, le leaba rí nó leaba banríona i chaon cheann. Cuireann na seomraí radharc do chuan na Gaillimhe nó an gairdín tírdhreachaithe ar fáil. Sna seomraí le radharc na farraige, bain taitneamh as spéir agus farraige álainn ildathach le luí na gréine. Mar chuairteoir san óstán, is féidir leat úsáid a bhaint as ár ionad fóillíochta nó an tobán te atá taobh amuigh le radharcanna dochreidithe de chuan na Gaillimhe, Oiléan Árann agus Contae an Chláir. Ón nóimead a chuireann tú cois taobh istigh den doras, beidh céad míle fáilte curtha romhat agus gan dabht, tabharfadh ár bhfoireann aire den scoth dhuit! Nasc compord an seomra le suaimhneas na tuaithe, na radharc álainn, siúlóidí cois sáile agus tírdhreach garbh, ‘gus bí cinnte go mbeidh saoire agat a bheidh ar d’intinne go brách. Féach céard a dúirt ceann dár gcuairteoirí le déanaí. “ Tá caighdéan an fhoireann agus an seirbhís san beár , an bialann agus an bricféasta iontach ar fad. Bhí an seomra go hálainn le radharcanna den scoth. Bhí an foireann ar fad iontach agus bhain muid taitneamh mhór as ár saoire san óstán”. Leis an gcéanna atá ar ár suíomh mar aon leis na radhairc iontacha, tá sé deacair a chreidiúint go bhfuil cathair na Gaillimhe ach deich nóiméad ar shiúl.